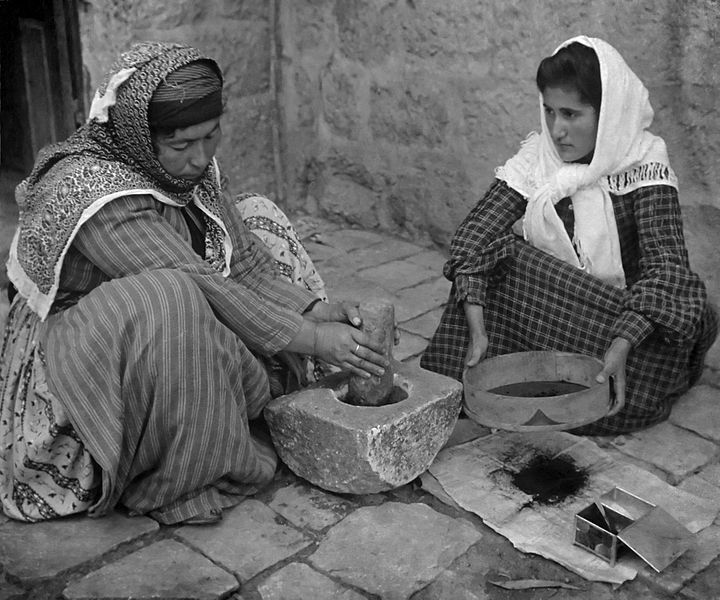 Palestinian women grinding coffee beans. Photo: 1905 Stereoscope. Original caption: The native mode of grinding coffee, women.